During term time if you have any concerns regarding the safety, health or well-being of a child who is a student at our Academy, please call 0116 2703176 or alternatively email the Lancaster Academy safeguarding team at safeguarding@lancaster.leicester.sch.uk (Emails are checked periodically outside of opening hours/term time). At The Lancaster Academy all staff are expected to uphold the fundamental principles of British Values, including democracy, the rule of law, individual liberty and mutual respect, and tolerance of those with different faiths and beliefs. These values are promoted through our Academy Pledge, the curriculum, PSHE, tutor time, assemblies and The Lancaster Ways for Behaviour and Teaching and Learning. 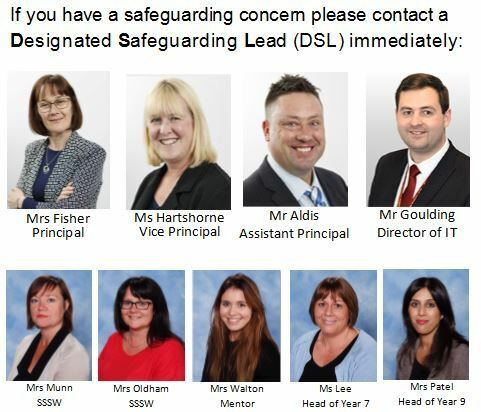 All Leicester Schools have become part of a new safeguarding initiative, which aims to improve outcomes for children and families affected by domestic violence and abuse. For further information please download the letter below. I will always be conscientious, PREPARED to make the best effort that I possibly can to reach my true potential. I will be RESILIENT in everything that I do, whilst recognising and cherishing the efforts made by the Lancaster community on my behalf. As an ambassador of Lancaster I will show INTEGRITY at all times, be truthful to myself and others, always trying to do the right thing. I will always champion the DIVERSITY within our Academy, and in the wider world, valuing care and consideration, respect and tolerance for all. I will embrace the ENTERPRISING spirit here, in all aspects of my learning, and strive to achieve the best future for myself and for the Academy.